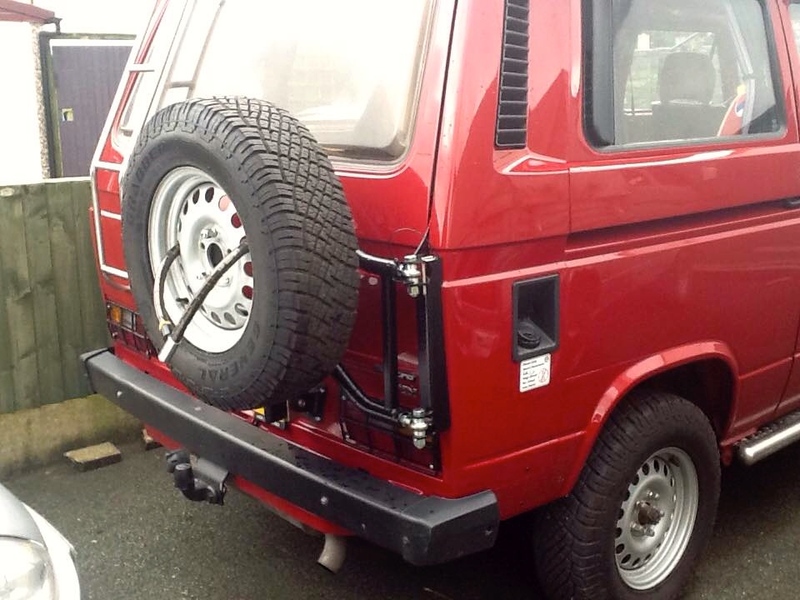 After no rear wheel carrier being available in the UK for quite a few years now and witnessing some panel damage caused by some other wheel carriers we decided to search out the best body mounted rear wheel carrier for both Syncro and 2wd T25/T3 vans available. 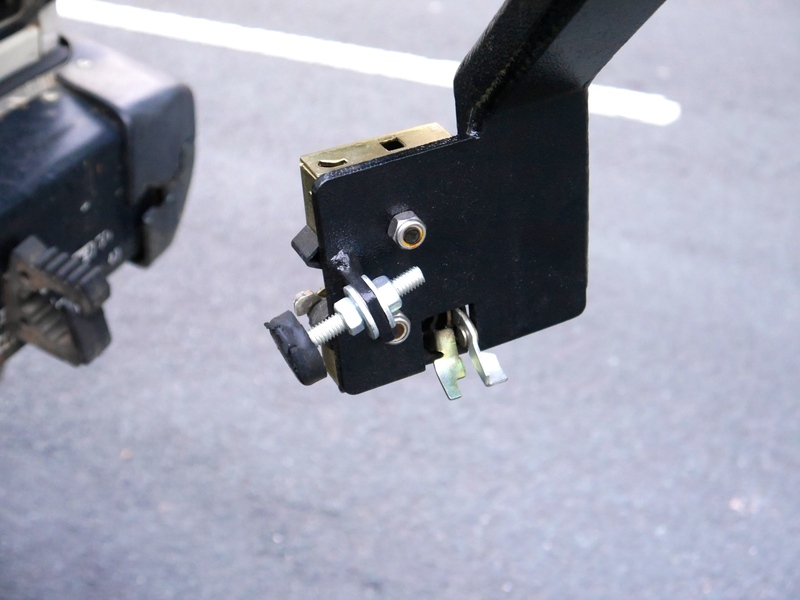 SKU: CVC-RMW-WHEELSWING. 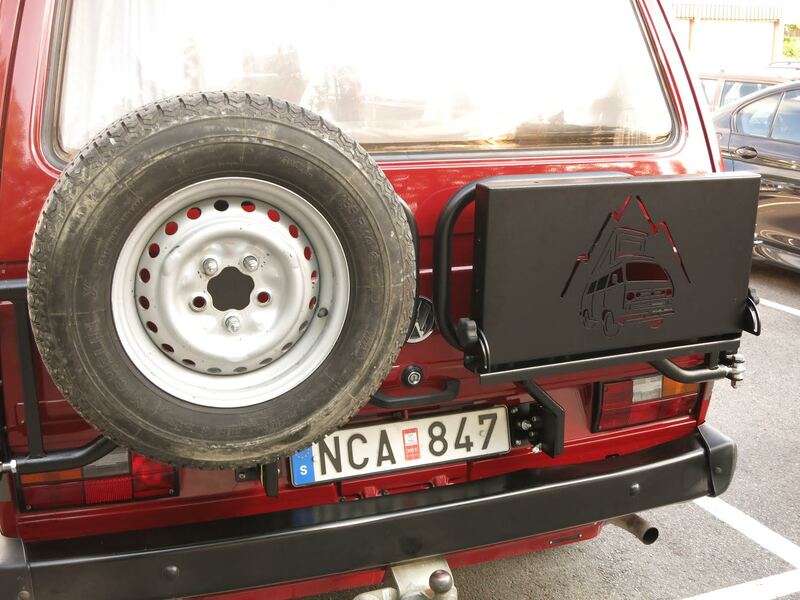 Categories: Latest Products, Rocky Mountain Westy, Syncro Specific Parts, Westfalia Exterior Parts, Wheels Covers & Carriers. 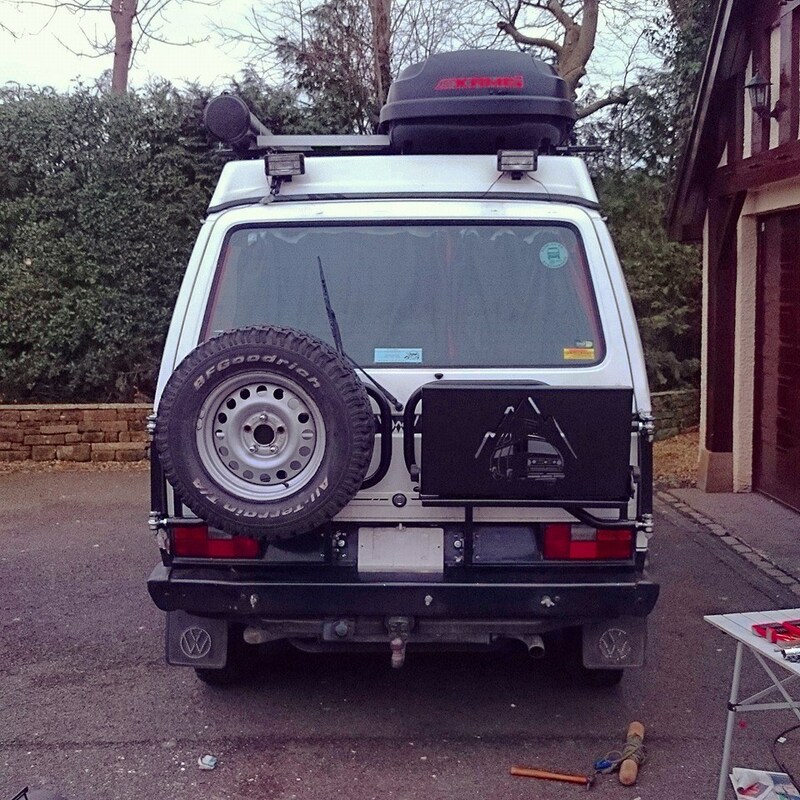 Tags: mods+upgrades, Rocky Mountain Westy, Syncro wheel carrier. 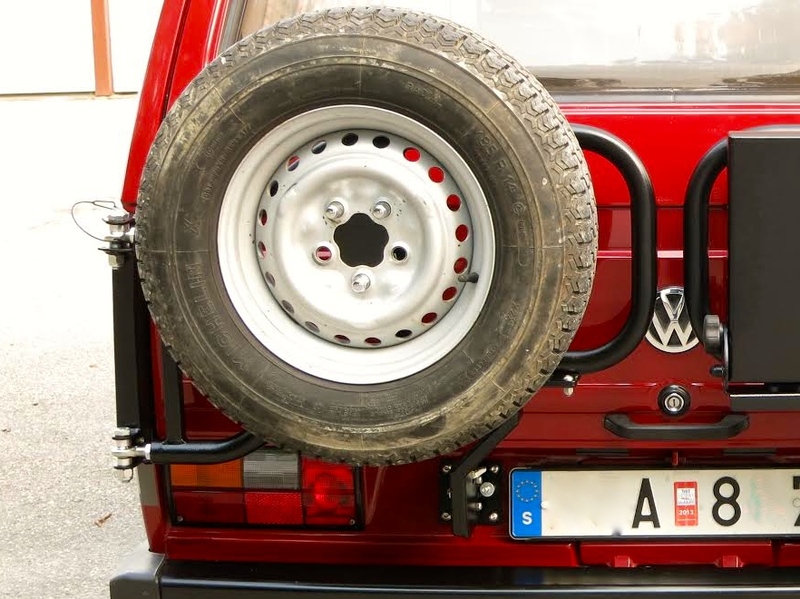 After no decent rear wheel carrier being available in the UK or Europe in our experiance for quite a few years now and witnessing some panel damage caused by some other wheel carriers both here in the UK and in Europe we decided to search out the best body mounted rear wheel carrier for both Syncro and 2wd T25/T3 vans available. 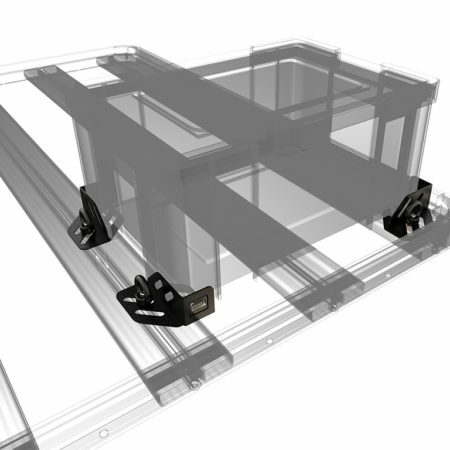 A proven track record of a quality product that had been put through its paces way beyond any prototype stage with hundreds of satisfied customers under it’s belt was top of the list. it had to have a good few years behind it was the brief as you all deserve the best. 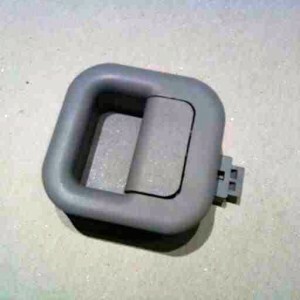 The body mounted ones we did consider were questionable and ranged from something that looked like a farm gate to a bathroom towel radiator! 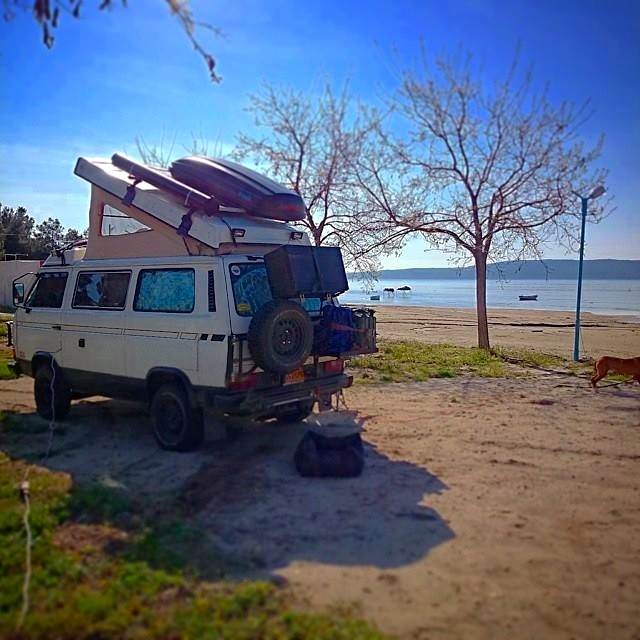 After some solid research we decided to go with Rocky Mountain Westy in the USA as their reputation for making quality kit in house is legendary. 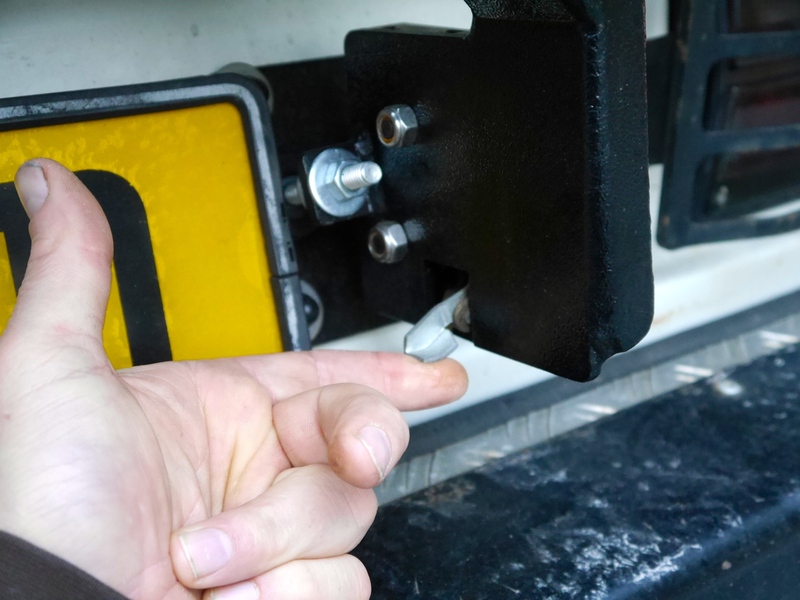 They do not use weak stainless steal that can fracture and use a coating that really is something we have never seen used in this aplication here in Europe.. It’s as hard as Clint Eastwood! They have worked with their customers feedback over the years and designed a whole range of awesomeness. 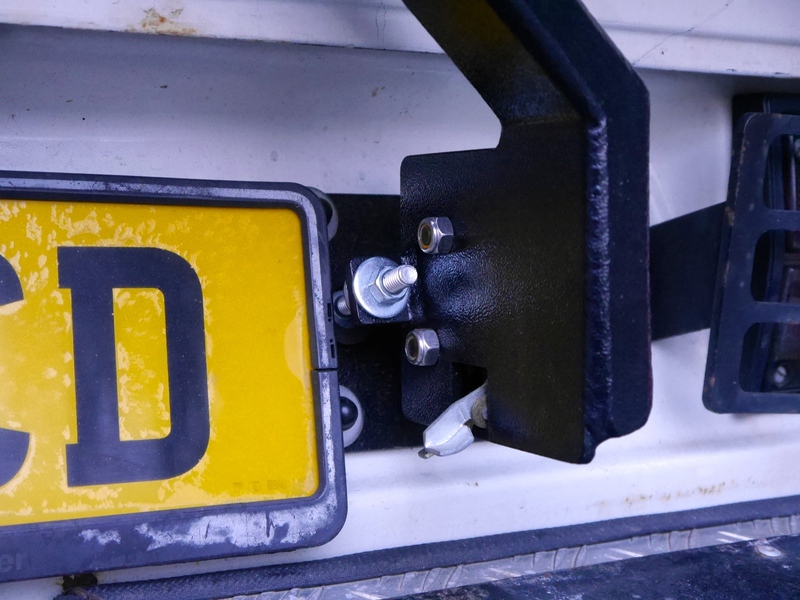 At CVC we noticed the only problem with any of the wheel carriers that were not bumper mounted in the USA is that the rear number plate on USA vans is very small and the receiving catches and posts are close to the edge of that tiny licence plate. 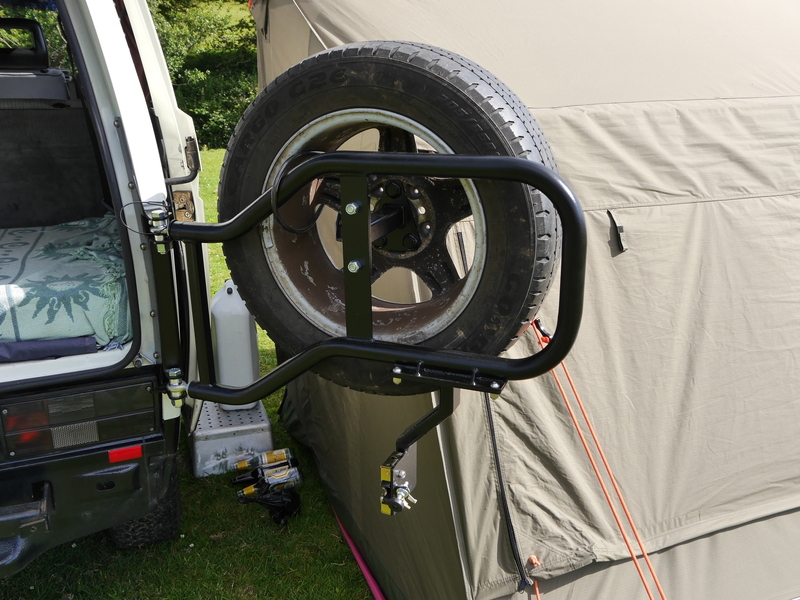 CVC sat down round the virtual online table and with Rocky Mountain Westy and they have made a swing away arm system just for us to offer to all of you in the UK and Europe. 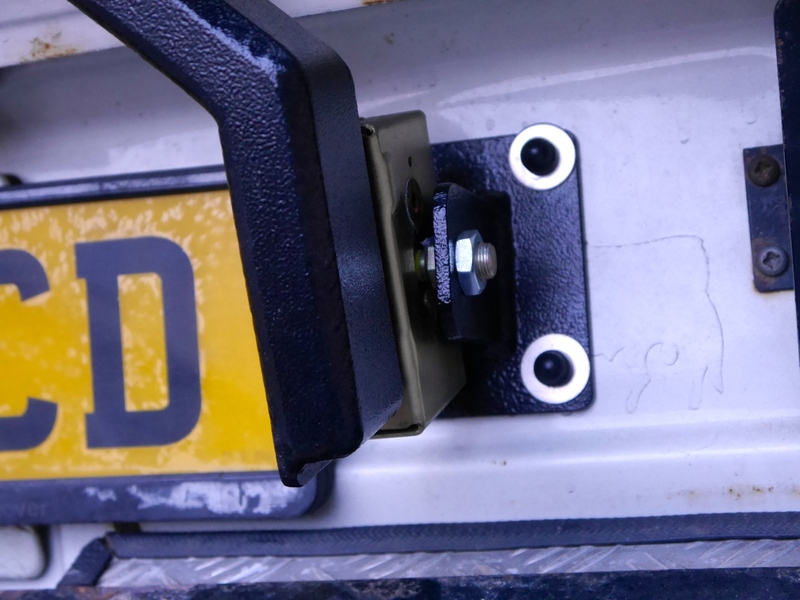 Our unique design accommodates the UK and EU longer rear licence plate that is fitted to the vans this side of the pond! 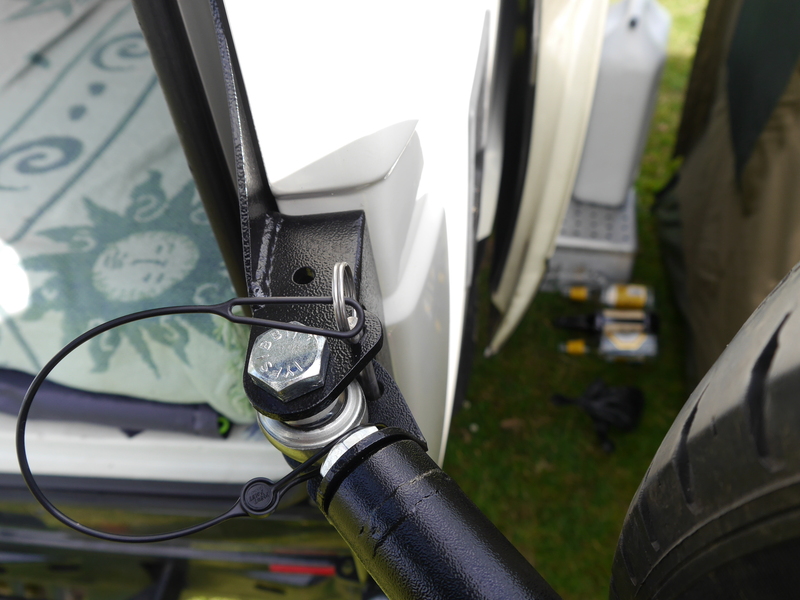 The Wheel carriers that Rocky Mountain Westy make for us at CampervanCulture.com also are different to the ones sold in the USA as the wheel now sits higher to give more viability to the rear light lens. 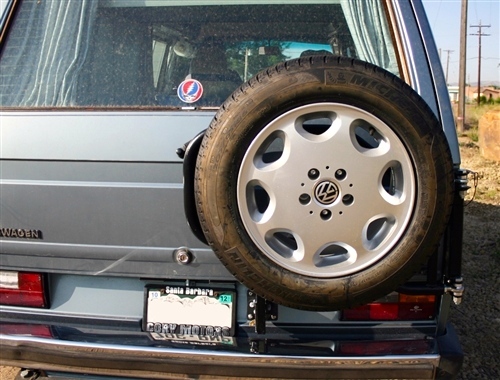 Our wheel carriers are made to take a VW wheel or Mefro rim and will also take the Mercedes steel wheels. 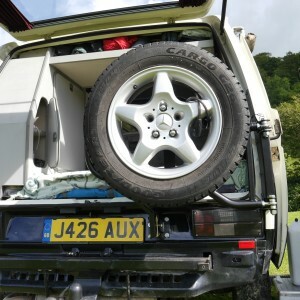 If fitting ML Mercedes alloys a slight adjustment may be required because for some reason the holes on those ML alloys are much smaller than the VW hole. 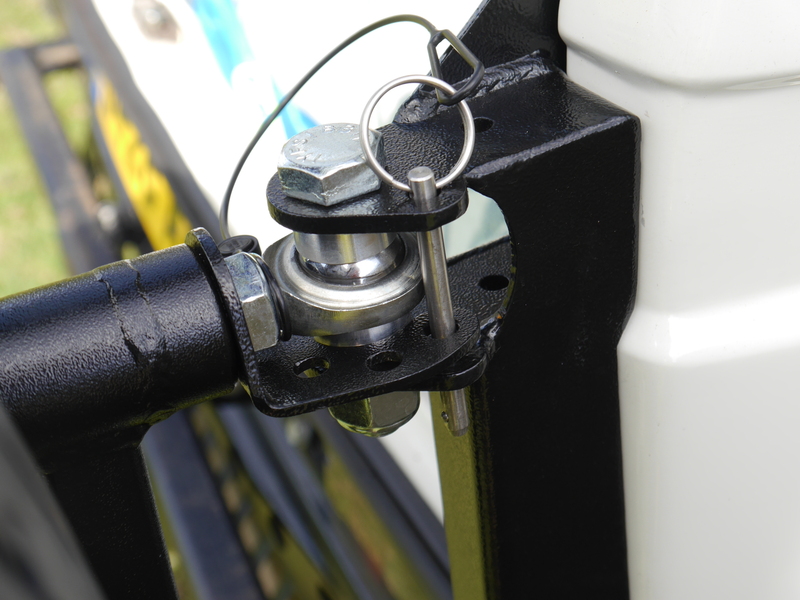 It’s an easy adjustment made by fitting the nuts to the threaded bolts and popping the removable wheel carrier section bolts in a vice and closing them together a mm or so. Like I say, real easy! 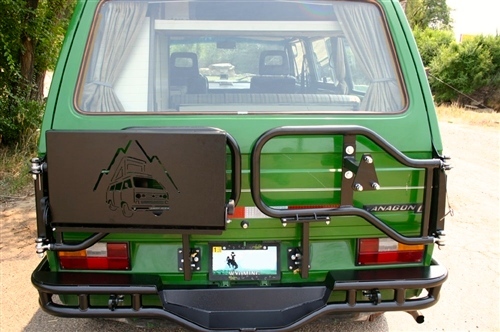 The half swing away tire carrier will accommodate all size tires. 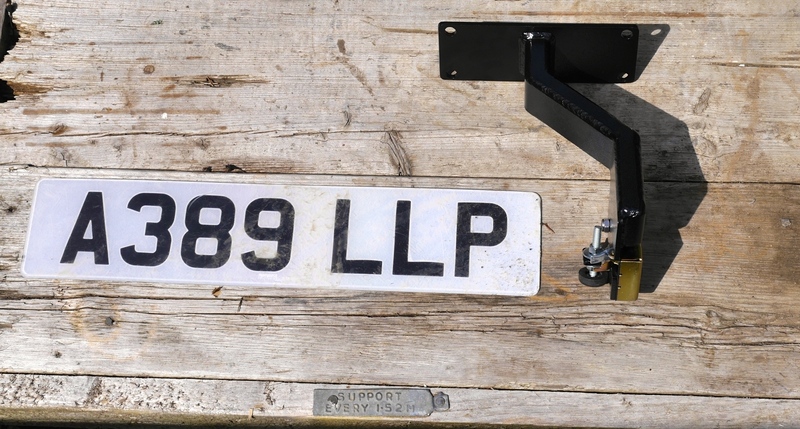 Due to the wide variation of shipping charges throughout Europe please contact us here before you order for all enquires outside of mainland UK. All major credit cards accepted as well as Paypal etc. We will also issue you with a VAT receipt so you can claim the 20% back if you need to. 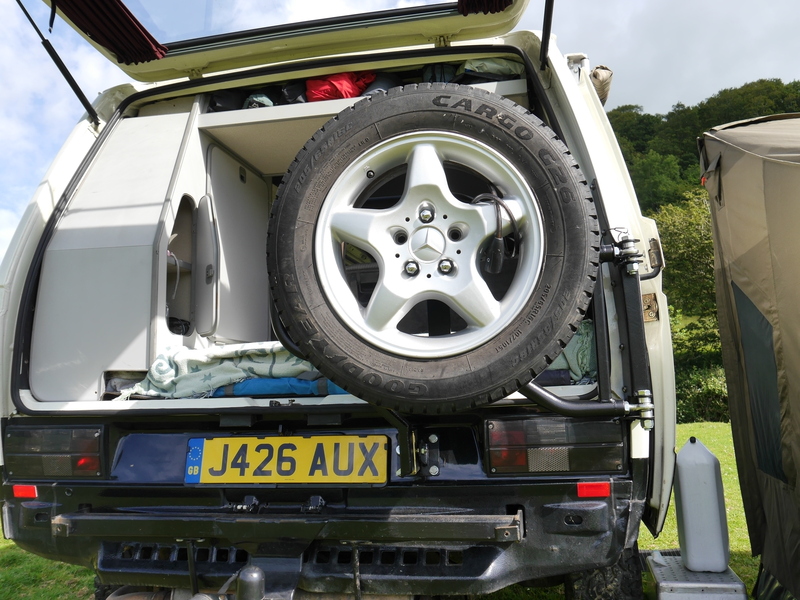 After searching the interwebs for a spare wheel carrier the coice came down to three items. 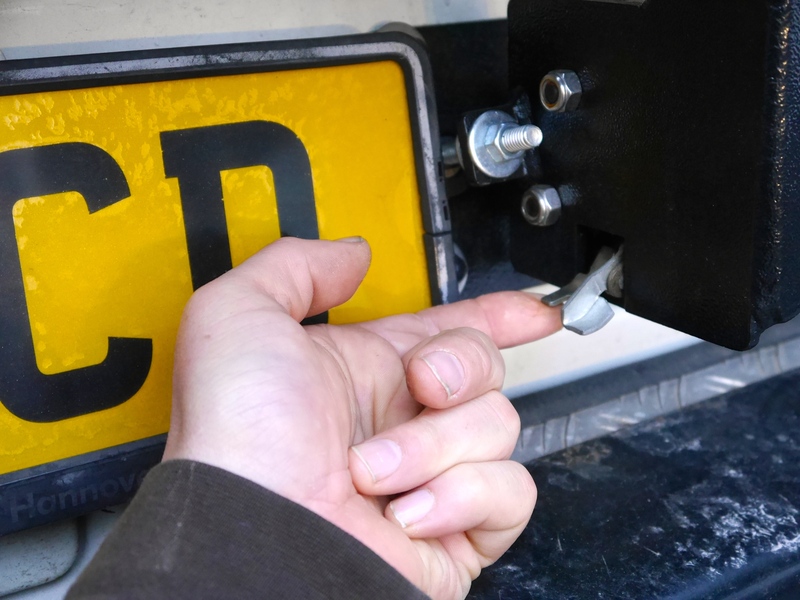 One from Germany, one from Holland and this one from CVC/RMW ….. or have something custom made. The two others from mainland Europe were cheaper, would have probably done the job, but looked cheap too. 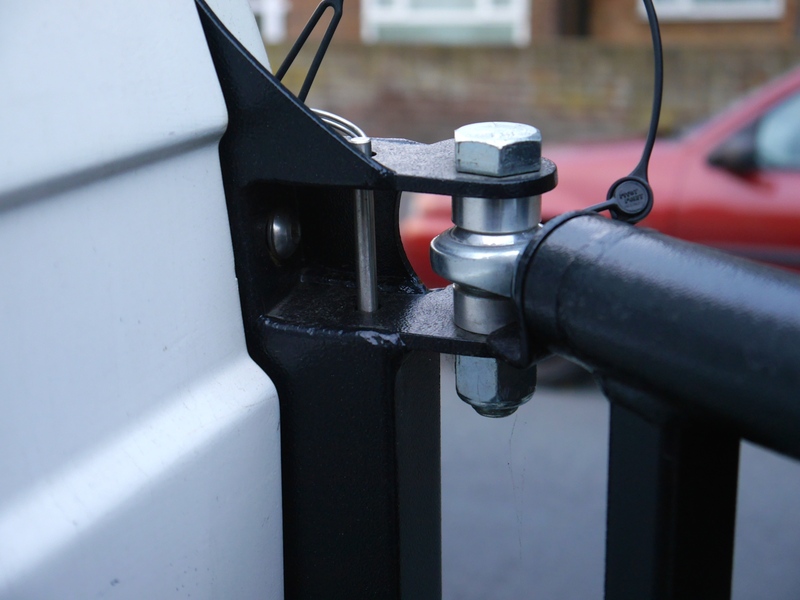 Having one custom made presents it’s own problems, would it be as robust as the CVC/RMW carrier, would it break the panels on my van, would the wheel fall off in transit? , not a risk to be taken lightly. 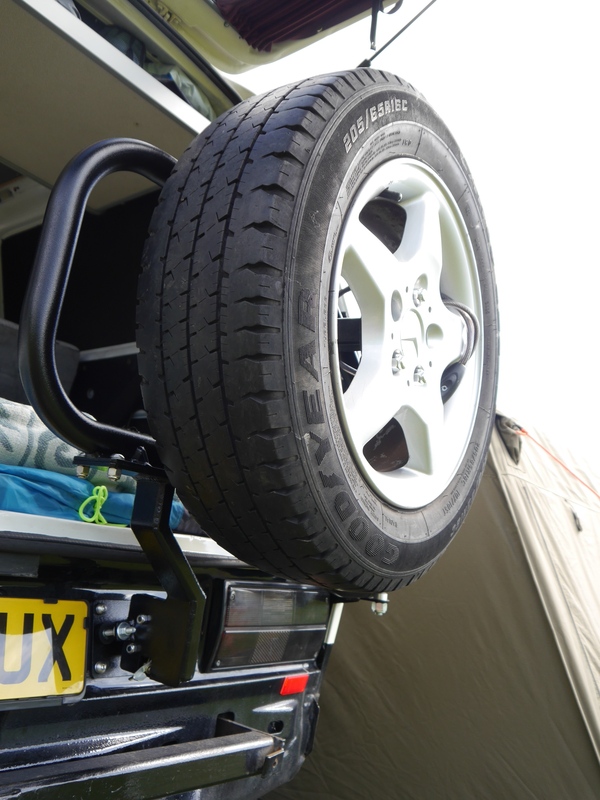 So what do I get for my money with the CVC/RMW spare wheel carrier? A big daft grin on the face as soon as you open the box. Every item is made of MAN steel. 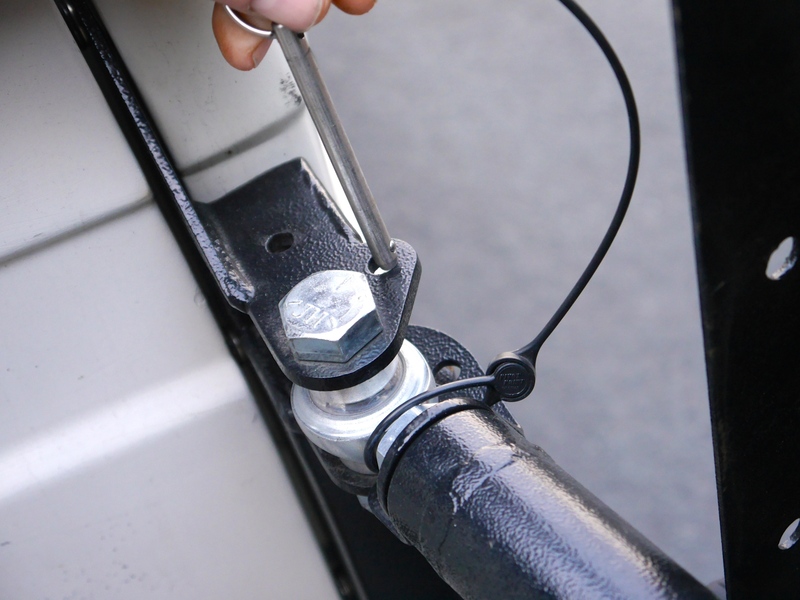 big strong tubing, big strong nuts and bolts, big strong metal plating. 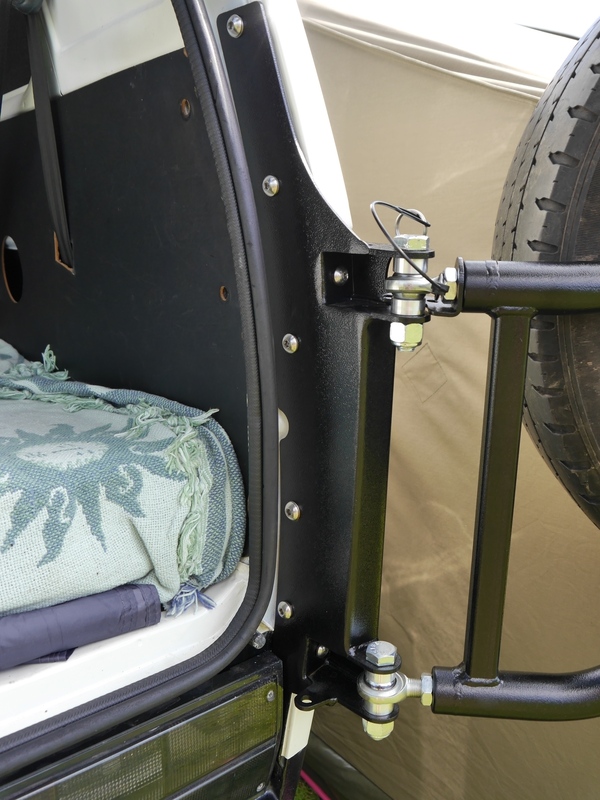 This thing is gonna last longer than your van, it’s an exceptional quality item and the fitment is beyond fantastic. Leave it in your will for the kids.